Mehndi has always been a major part of indian tradition . Be proud to be a part of one and carrying on the legacy. When a woman is in the process of wedding one thing that is always in her mind is the mehndi one, how better is it gonna sink in? 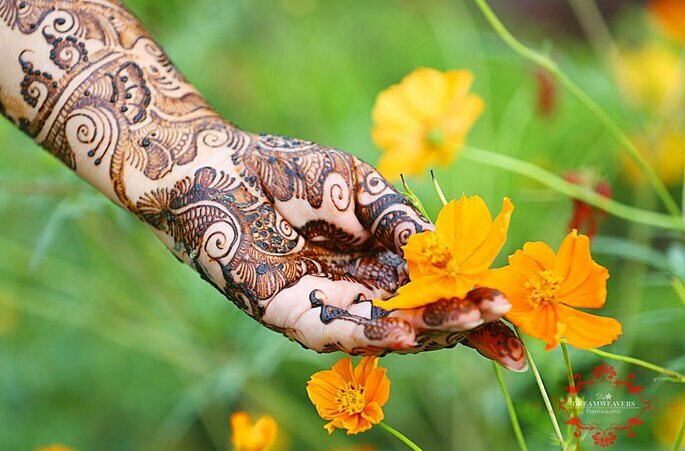 Mehndi, It is not only the red color on your palms but it is the color of love. You must have had henna in many other weddings but having mehndi on your own wedding is that feeling which no one can understand better than you. 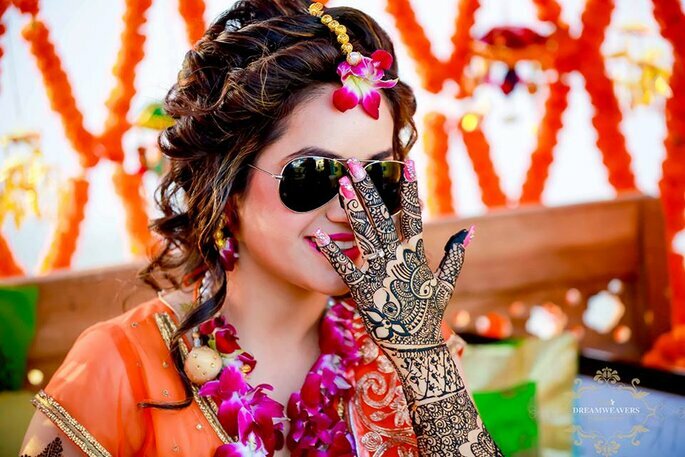 As per Mehndi ceremony is always a day prior to your wedding or on the same in the morning! What experts say is ” once your mehndi on your hands it’s gonna stay for few days even after your wedding, so make sure it is done by professionals.” So forget all just enjoy your mehndi ceremony with all your friends and family! Pushpa Mehndi Arts boutique in the city is also open for personal appointments. Travel fees may apply. Bridal mehndi includes an initial bridal consultation at Pushpa’s boutique where in you can view designs, or design your own. You may bring your own design books as well. A popular choice is to include designs found in the bridal gown into the henna. You will also receive a sample henna design on your palm and top of the hand. They have mehndi designs more than 3000 where you can choose what you want! Bridal appointments can be taken through phone calls as well. 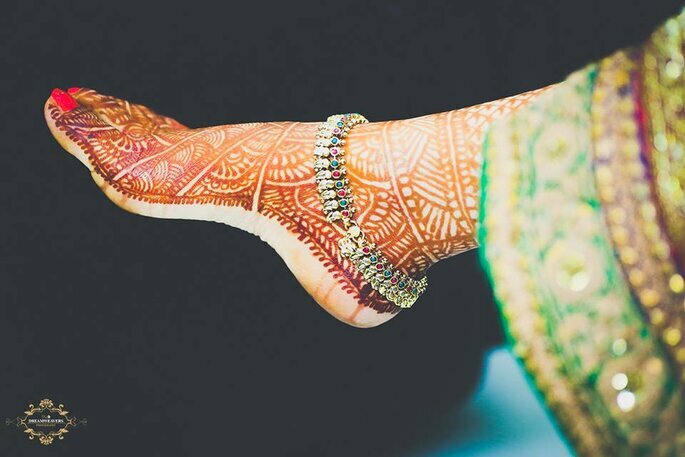 Daffodils Studio understands the major role of Henna Mehndi which is applied as per the occasion; therefore the center has hired an experienced team of Mehndi artists in Bengaluru that completely fulfills the wish of having classic mehndi patterns. The experts are enough capable in applying mehndi on many hands in a day and easily handle the rush of the occasion by meeting different demands of mehndi designs. One can rely on the Raj Mehndi Artist’s service in Bengaluru. The experienced mehndi artists will visit your door to make your event, even more, happening by bringing you classic adornment via latest mehndi designs. Raj Mehndi Artist is pleased to make your occasion special by bringing amazing mehndi that grab each and every one’s attention. It’s your day so just make it! 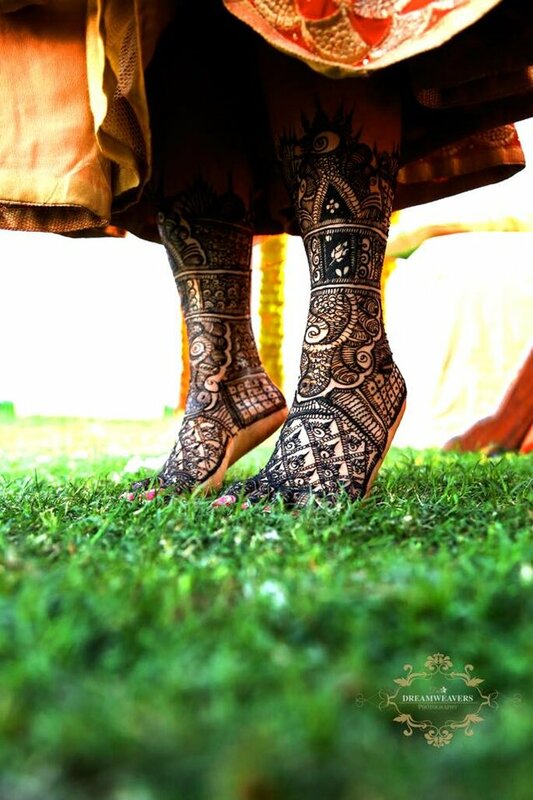 The art form of henna or mehndi significantly varies from region to region. Varying designs have a traditional Indian, Arabic and Zardosi style. 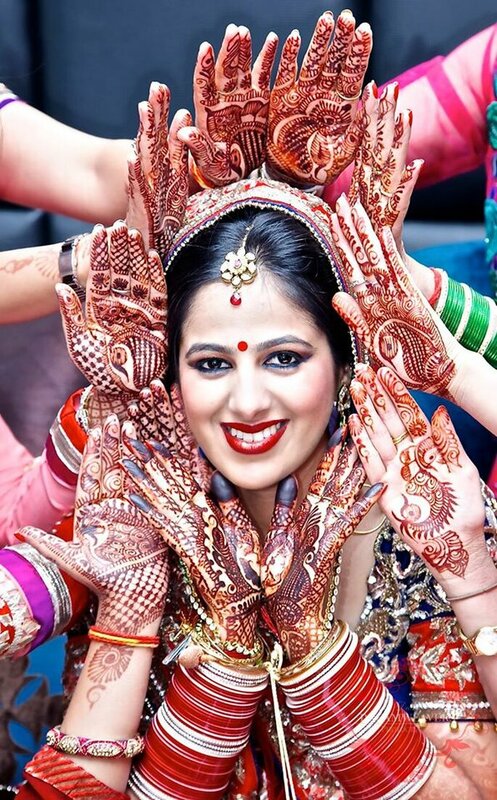 Nikhil Mehndi Artist is expertise in mehndi designing and having years of experience. With the use of natural Mehndi (Henna) powder and other natural herbal ingredients he uses toothpicks, knitting needles and paintbrushes. Traditional and contemporary bespoke bridal and party mehndi offered in the comfort at your place, using natural henna paste, made freshly for each client. Monica is specialized in traditional and contemporary mehndi designs for weddings, mehndi parties and cultural celebrations. You will not only get a mehndi artist on your mehndi ceremony but a friend, enjoy your mehndi ceremony! 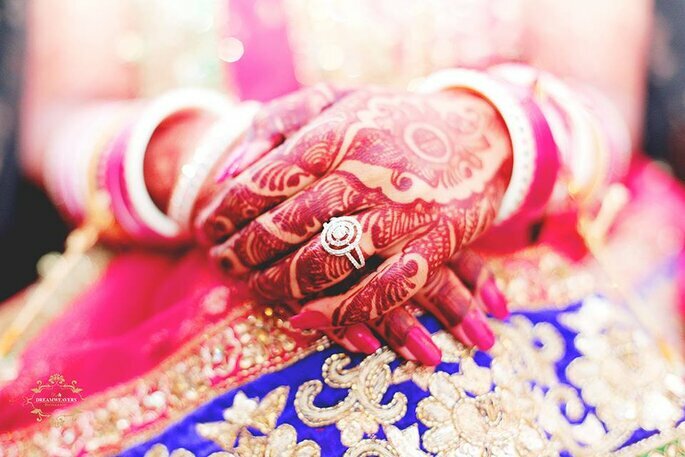 Enjoy the most amazing day of your life as the bride, to be which is your mehndi ceremony! These mehndi artists are there to make your day BIG! ” So make sure you also feel like one and feel it close to your soul”.